The renewed Rossiya Airlines, made up by uniting three of Aeroflot’s subsidiaries (Rossiya, Donavia, and OrenAir), will inherit 24 widebody aircraft from Transaero Airlines, which has recently ceased operations, reads Aeroflot’s presentation for investors. Rossiya is expected to get five Boeing 777s, five Boeing 767s, and 14 Boeing 747s. The new carrier’s fleet will also include most of the aircraft currently operated by Rossiya, Donavia, and OrenAir (58 aircraft in total, namely 26 Airbus A319s, 11 A320s, 15 Boeing 737s, and three Boeing 767/777 aircraft each, according to the parent airline’s presentation, which differs from the Federal Air Transport Agency’s report to the effect that the by-type breakup of the three airlines’ combined fleet of 54 aircraft in slightly different). 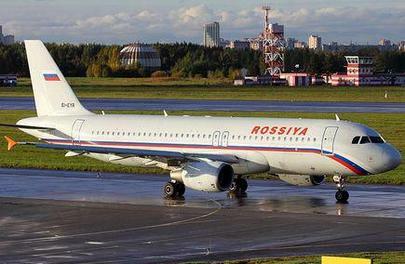 Earlier this year, Aeroflot announced that three of Rossiya’s Boeing 767s would be phased out for their “inefficiency”. The current presentation implies, however, that these aircraft will continue in operation until 2017-18. OrenAir’s plans to get rid of three Boeing 777s will now apparently be reviewed as well. Most of the 6,000 former Transaero employees whom Aeroflot promised to hire in its time will be transferred to the renovated Rossiya carrier, the presentation reads. Rossiya will also inherit 56 of Transaero’s international commercial rights to foreign destination, to be handed down by Aeroflot. However, regional destinations will constitute the largest part of Rossiya’s route network. As of today, the three airlines ordered to merge in order to form the new carrier hold commercial rights to 48 domestic and 42 international destinations. The new airline will have several base airports, including Vnukovo in Moscow and Pulkovo in St. Petersburg. Rossiya will allegedly be positioned in the medium-price segment. The plans for uniting Aeroflot’s subsidiaries into a single airline were announced in October 2015. The new carrier’s primary client base will be passengers flying abroad once a year or less freqyently, mostly those preferring budget tourism inside and outside the country, as well as business travelers inside Russia. Dmitry Saprykin has been appointed as new Rossiya’s general director. Overall, Aeroflot will receive up to 34 aircraft previously operated by Transaero, icluding 14 airframes through Sberbank Leasing.